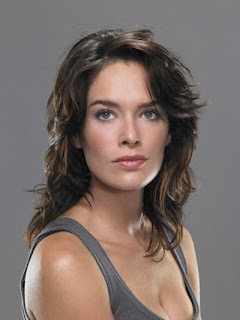 Kryptonian Warrior: Lena Headey Cast As Main Villain In 'Dredd' Movie! Lena Headey Cast As Main Villain In 'Dredd' Movie! The unbelievably gorgeous Lena Heady (300 and Sarah Connor Chronicles) is set to play the main villain 'Madeline Madrigal AKA MA-Ma' in the new Judge Dredd movie also starring Karl Urban in the lead role.